Thinning and Unhealthy Hair Is the Biggest Cause for Concern Among Both Men & Women. 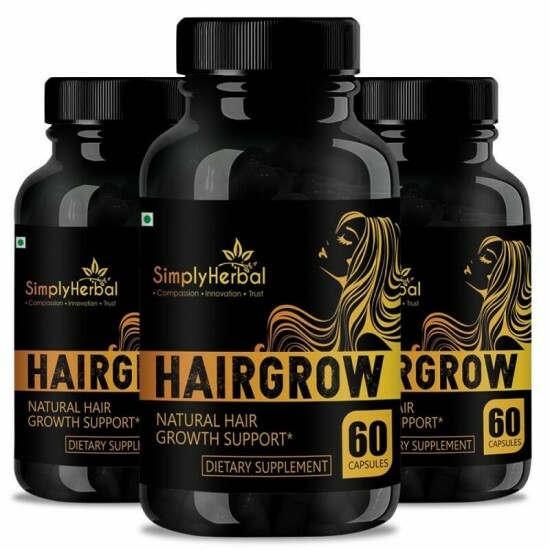 If You Relate to This, You Will Be Happy to Know That Simply Herbal Brings to You the Best Combination of Ingredients Such as Bhringraj, Hibiscus, Brahmi and Many More Which Will You Restore Your Hair’s Luster and Volume. Herbs Are a Great Way to Boost Hair Growth, Restore Moisture and Enhance Its Texture and Shine. 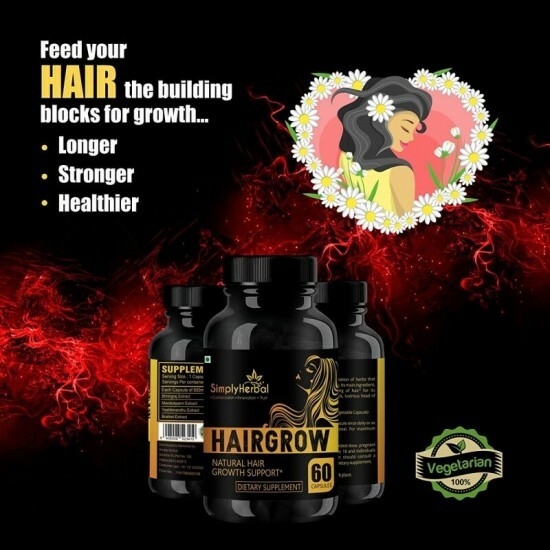 Unlike Synthetic Chemicals, That Causes More Harm to the Hair, Simply Herbal’s Hair Grow Contains Plant Nutrients Which Are Both Nourishing and Gentle for the Hair. Reduced Hair Loss & New Hair Growth - Hair Grow Serum Ingredients Dilate Scalp Capillaries, Increase Hair Nutrition, Reduces Hair Loss and Stimulates New Hair Growth. 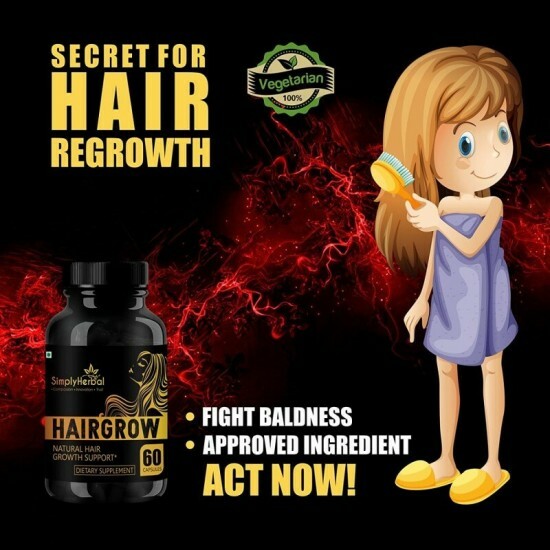 Promotes Hair Follicle Cell Division - Ingredient Polygonum Promotes Hair Follicle Cell Division Which Prevents Graying (White Hair) and Strengthens Hair Roots. Hair Grow Serum Contains Hair Growth - Factor Similar to the Human Body Generates for Natural Hair Growth. 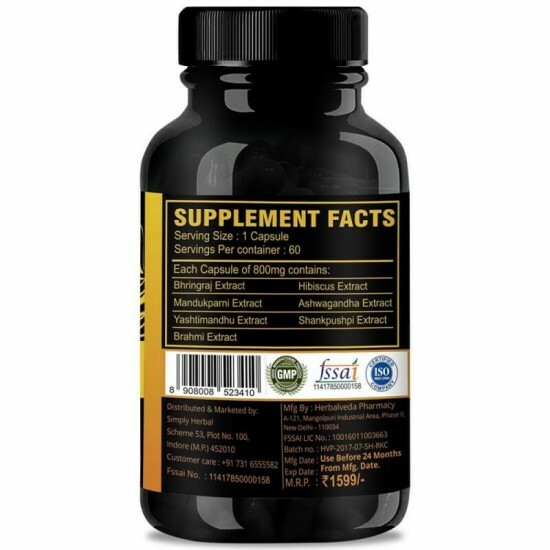 This Growth Factor Stimulates & Activates Hair Follicle for Hair Growth. Hair Grow Thicker and Longer - It Continuously Promotes Scalp Metabolism When Used Regularly and Hair Keeps Growing Healthier & Stronger. 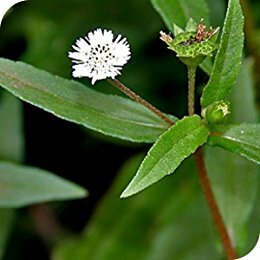 Bhringraj or Eclipta Alba Is a Popular Herb That Is Known for Its Medicinal Benefits. 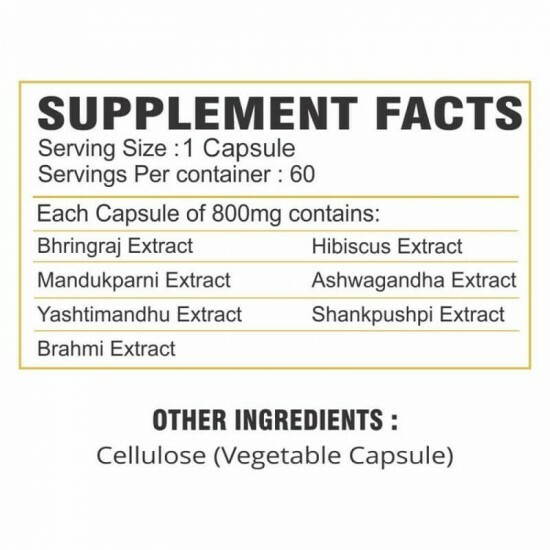 Bhringraj Has So Many Benefits for the Hair, That Is Used Extensively. 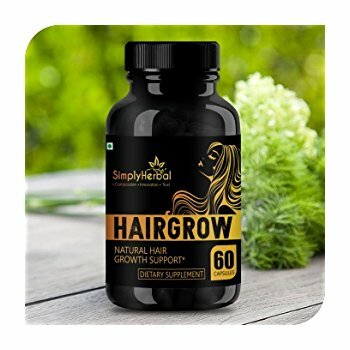 This Miraculous Herb Is Used for Hair Care Mainly When the Hair Fall Is Hair Loss Conditions Are Seen.it Is Enriched With Essential Vitamins and Minerals That Boost Hair Growth. 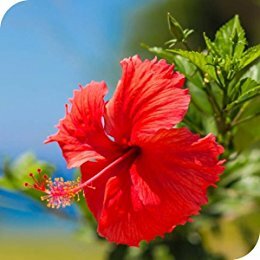 Hibiscus Is One of the Most Renowned Herbs Used for Hair Growth. It Has Gained Popularity Because of Its Ability to Stimulate Hair Growth Even From Dormant Hair Follicles in Bald Patches. The Flower Is an Efficient Remedy to Put a Stop to Hair Fall, Encourage Regrowth, and Prevent Premature Graying. It Is Rich in Vitamin C That Boosts Collagen (the Amino Acid Chain That Gives Your Hair Its Strength) Production, Ensuring Healthy Hair Growth. 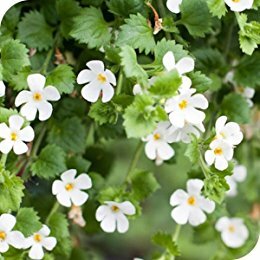 Brahmi Can Help Promote the Overall Health of Your Hair Making It Longer and Thicker. It Reduces the Number of Splits Ends Drastically and It Also Coats the Hair Follicles Reducing the Damage to Hair. This Also Allows the Hair to Develop Volume and Length. It Also Nourishes the Roots of the Hair Thus Reducing the Hair Fall. Simply Herbal Hair Grow Is All Natural in Nature. Simply Herbal Supports the Vegan Society. This Means That No Animal Products Are Used in Our Range. We Don't Believe in Using Any Animal for Our Products. This Means That No Animal Products Are Used in Our Range. We Don't Believe in Using Any Animal for Our Products. Simply Herbal Products Have Been Tested for Safety and Performance and Are Registered and Comply With All Regulations.